Wireless chargers are really only wireless when used to charge a device that is QI-enabled. These QI devices are specifically engineered so that they are compatible with wireless chargers. Luckily for Android and Samsung users, many non-Apple smart phones are already QI-enabled. However, Apple only recently introduced QI technology in their newest phones. For now, the only iPhones that are QI-enabled are the iPhone 8 and X. If your phone is not QI-enabled, never fear! Wireless chargers come with the option to charge your device via a small adaptor cord. So technically, any device can be charged with the wireless charger — it won’t be completely wireless, but because the adaptor is so small, it still minimizes the clutter on your desk. The good news is that smart phone providers everywhere have started implementing QI technology. Within the next couple of years, most people will be upgrading their phones, which means everyone will have access to QI-enabled devices. It’s only a matter of time. 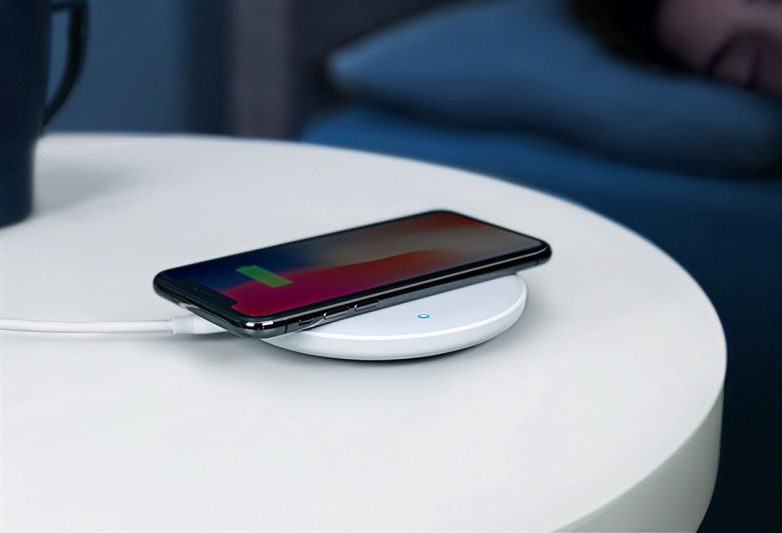 With all that said, branded wireless chargers could be an excellent investment for your company! It’s an excellent opportunity to stand out as an authority in your field, and to show off the tech-savy side of your business. Looking for a great option for branded wireless charger? Check out our most popular charger here.